Breakfast is very important to me. I usually start thinking about what I’m going to eat 3 minutes after I wake up. But it’s one of those meals where you can fall into a rut without even realizing it’s the 365th day you’ve had peanut butter toast. So I’m rounding up breakfast recipes from the blog today to give you some morning-time inspiration with an eye on the calorie content…these are in order from highest to lowest. 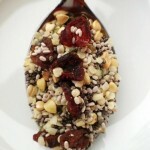 Hearty and filling, this is a nice hot cereal alternative to oatmeal. 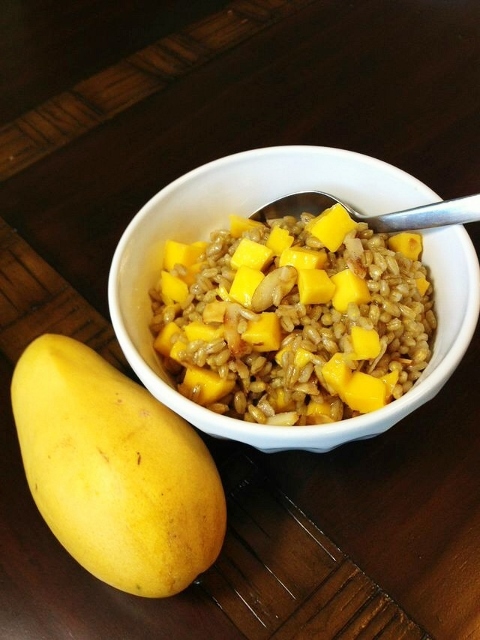 The Ataulfo mangos started showing up at the grocery store in March and should be around until June. We make smoothies so often, the blender now has a permanent home on the kitchen counter. There’s no point in putting it back in the pantry when it gets used almost every day. Try this recipe if you like tart, sweet, and creamy. 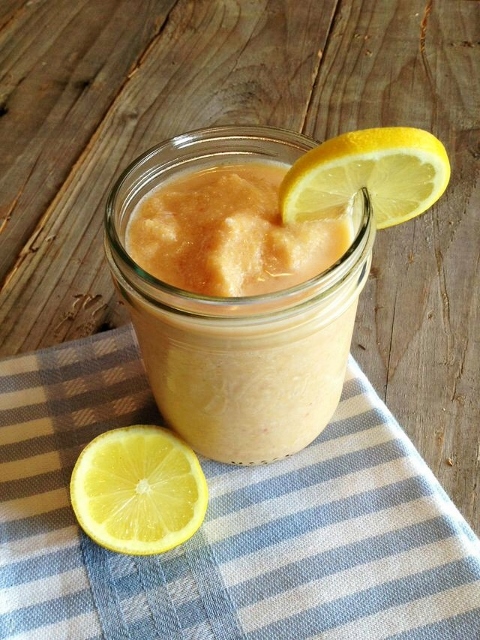 It uses frozen peaches, so you can make it year round. This recipe would work great for a weekend breakfast, when you have a little more time to spend chopping and cooking. 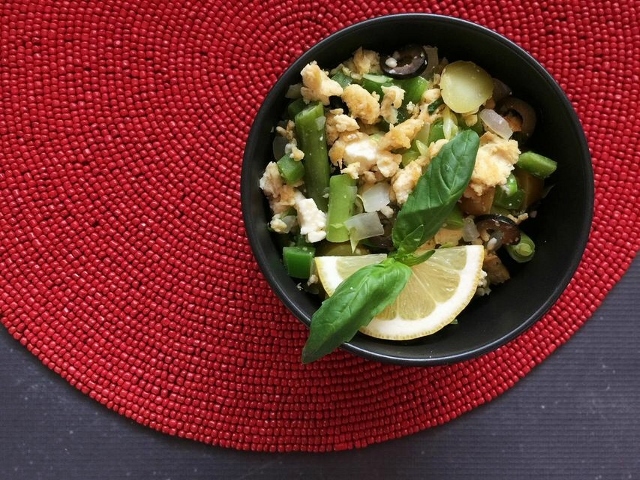 But, it also makes a great dinner, so warming up a bowl of leftovers could make a super speedy breakfast. I know. 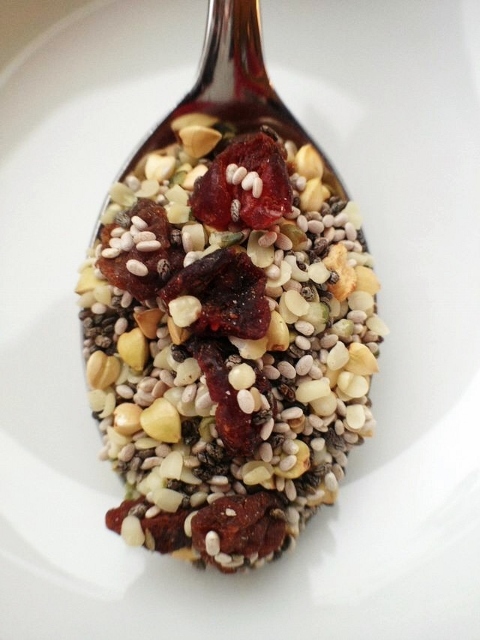 It looks like a spoonful of birdseed, but it’s surprisingly flavorful and the crunchy texture is awfully satisfying. I’ve paired it with virtually every type of fruit and it never disappoints. One of my first ever recipes posted on the blog, it’s still a favorite. 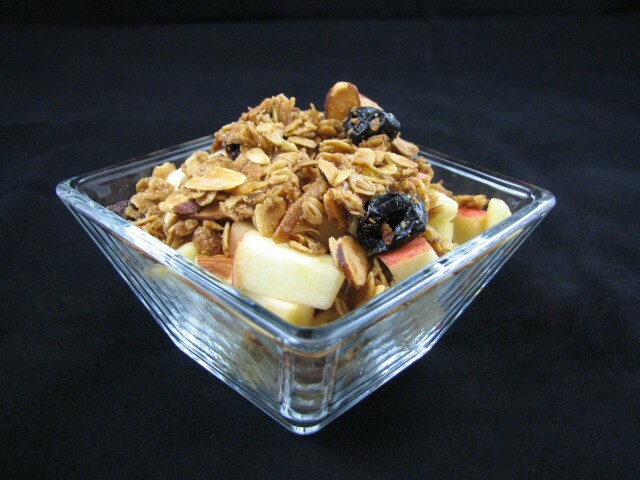 As is often true with granola, this one is high in calories so portion control is important. I like to go heavy on the fruit and top it with just 1/3 cup of crunchy goodness. Important to note: the calorie content for these last two items on the list will go up, of course, when you add your favorite fruity bits and milk. As you can see, I’m a fan of cereals. And Homemade Holy Crap is by far the most popular recipe I’ve ever posted, cereal or not, so there must be other breakfast lovers out there like me hunting for healthy options. With cereals, I like being able to do the work once, and then enjoy a bounty of full bowls in the coming weeks. I also think it encourages fruit consumption all year long because I find plain unadorned cereal boring and I always want the additional sweetness and texture that fruit can bring. Trust me. At 6:15 am when it’s still dark outside, you accidentally squirt face lotion onto your freshly ironed pants, and your kitty is crying for food, you’ll be so glad you thought your breakfast out ahead of time. So as you’re pulling together your menu plan for dinners next week, consider adding a couple of breakfast recipes to the list as well so you’ll have what you need to set yourself up for sunrise success. What do you find yourself reaching for most often in the early a.m.? The holy crap cereal looks delicious. We love smoothies but don’t make them often enough. Hi Tanya. Thanks for stopping by the site! I agree…it took me a while to get into the smoothie habit. Now it feels weird when I don’t have one.